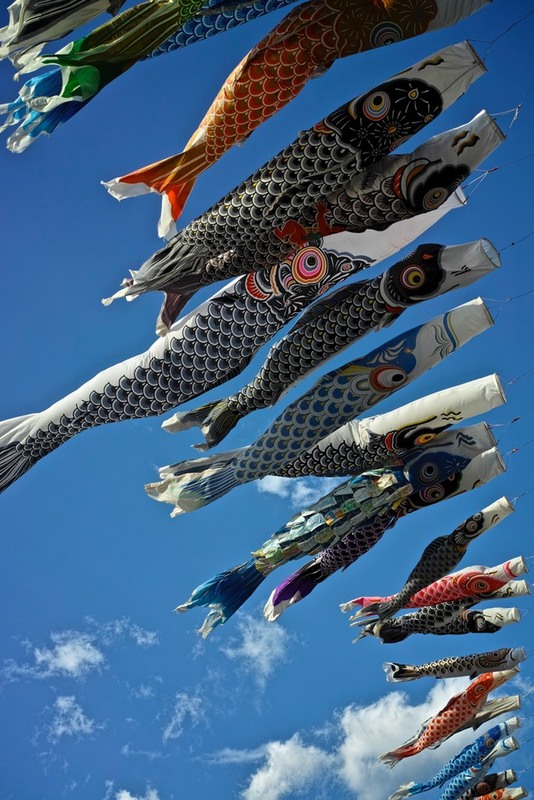 The word Koinobori literally means "carp streamers" and is an apt name for this very Japanese sight. 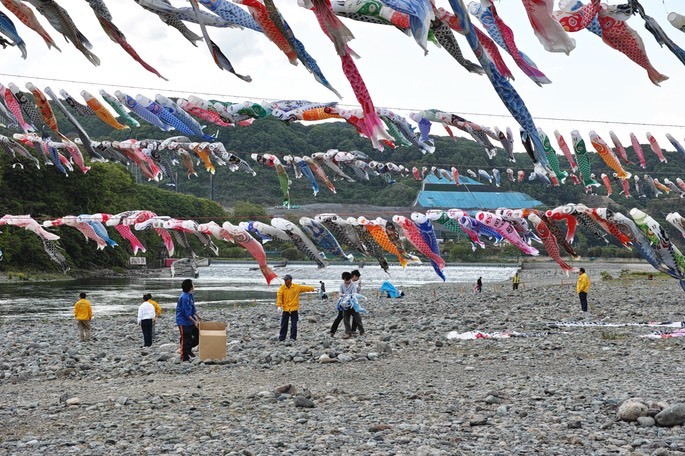 Every year to celebrate Children's Day - one of the Golden Week holidays, huge carp streamers are strung across rivers to fly in the early spring winds. 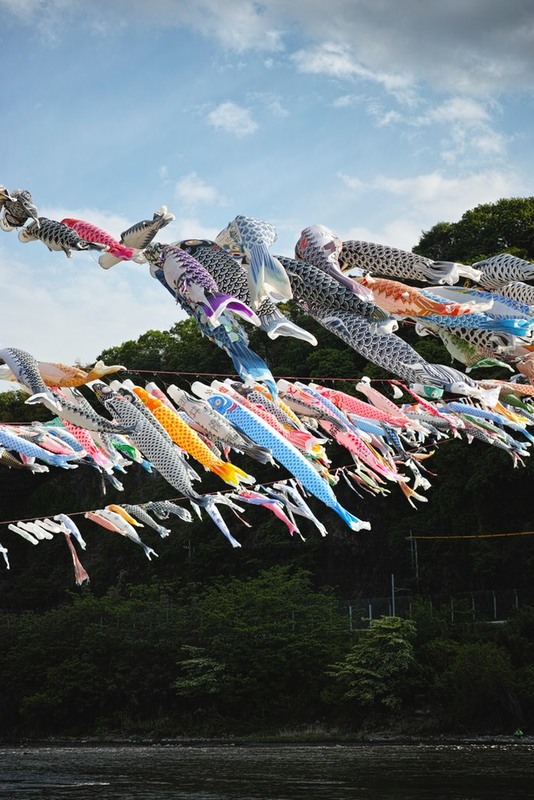 These carp can be up to 3 meters long and are very finely detialed and beautiful to see. We travelled some distance out of Tokyo to witness this. 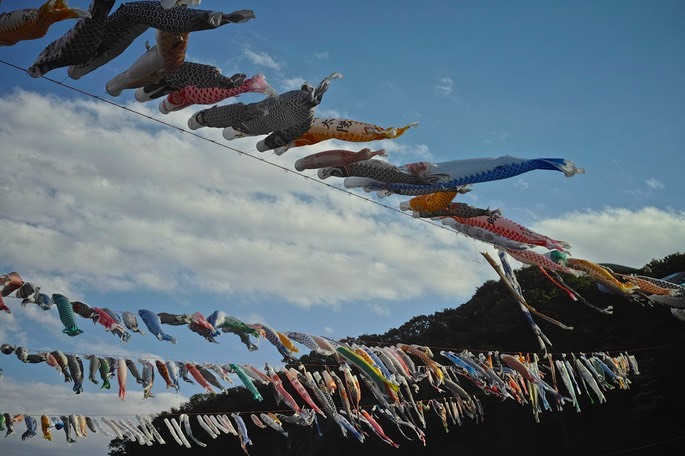 I had along my Sigma DP3 and my Hasselbald 500CM film camera. The film will take some time to come back from the developer, so I thought I should post some from the digital camera. Once again the Sigma camera was magical. The people give some kind of scale to the photo. Sigma DP3 Merrill. 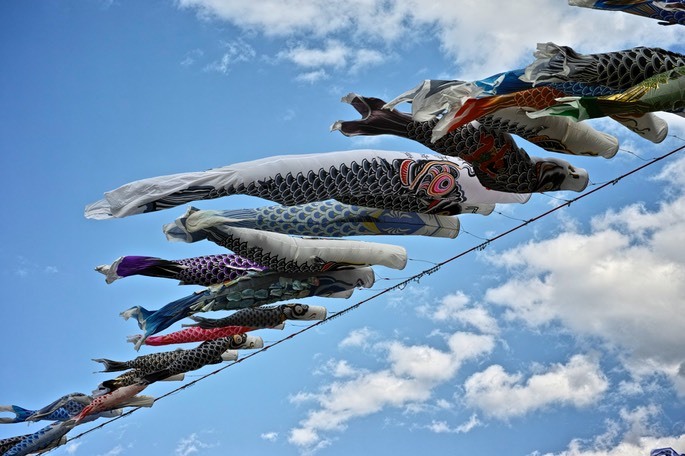 There were hundreds of these carp strong up over 80-100 meters for each cable. Sigma DP3 Merrill. The sun came out at just the right time. Sigma DP3 Merrill.